This entry was posted in Museum and tagged Jule Collins Smith Museum of Fine Art on May 15, 2013 by Wire Eagle. AUBURN UNIVERSITY – The lithography exhibition “Tamarind Touchstones: Fabulous at 50 – Celebrating Excellence in Fine Art Lithography” will open Saturday, May 18, at the Jule Collins Smith Museum of Fine Art at Auburn University. The exhibition features 61 prints from many of the most significant American artists and printers of the last 50 years, including Josef Albers, Willie Cole, Roy De Forest, Richard Diebenkorn and Kiki Smith. The museum has invited the director of Tamarind Institute, Marjorie Devon, to deliver her lecture “Pressing Ideas: Mastering the Art of Collaboration at Tamarind” on Friday, May 30, at 6 p.m. in the Martin-Perricone Auditorium. The event is for student and museum members with extended gallery hours and a reception to follow. Dennis Harper, the museum’s curator for collections and exhibitions, said for the exhibition to come to Auburn is very relevant to the university’s artistic legacy because of Auburn’s long and rich tradition of printmaking. He said Maltby Sykes, whose career with the art department at Auburn University spanned more than three decades until his retirement in 1979, is an important part of that tradition. “Maltby Sykes, in a way, is the father of the program, but many fine works have come out of the faculty and student body here over the years,” Harper said. 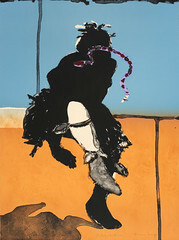 He noted that prints are also a significant part of the museum’s permanent collection. 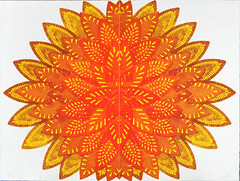 The Tamarind Institute is a center for research, education and creativity in fine art lithography with the College of Fine Arts at the University of New Mexico. Devon said that she hoped that visitors to this exhibition would see the difference between an original print and a photographic reproduction of a pre-existing image. To become a museum member and attend the May 30 opening, go to www.jcsm.auburn.edu/jointo see levels and benefits. Memberships for Auburn University students are free, and membership levels start at $45 for individuals. Admission to the exhibition is free courtesy of the museum’s business partners.